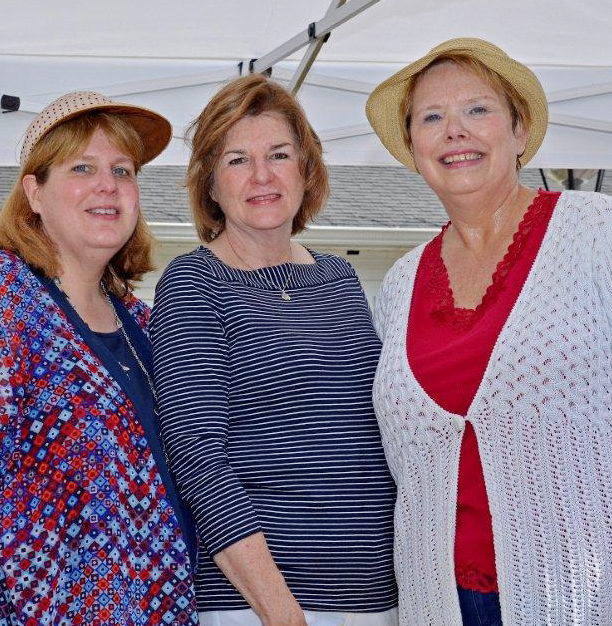 Former New Fairfield First Selectmen, me, Peggy, and Cheryl. Thomas Wolfe said, “You can’t go home again.” Jay Gatsby didn’t get it. “Can’t repeat the past? Why of course you can,” he said naively. I tend to agree with Mr. Wolfe. You can’t go home again or repeat the past, and why would you want to? I am very sentimental about people, events, and celebrations. If it’s your birthday, I want to make you a cake and sing you a song. But when it comes to my past lives, I’d just as soon forget about them and put them behind me forever. 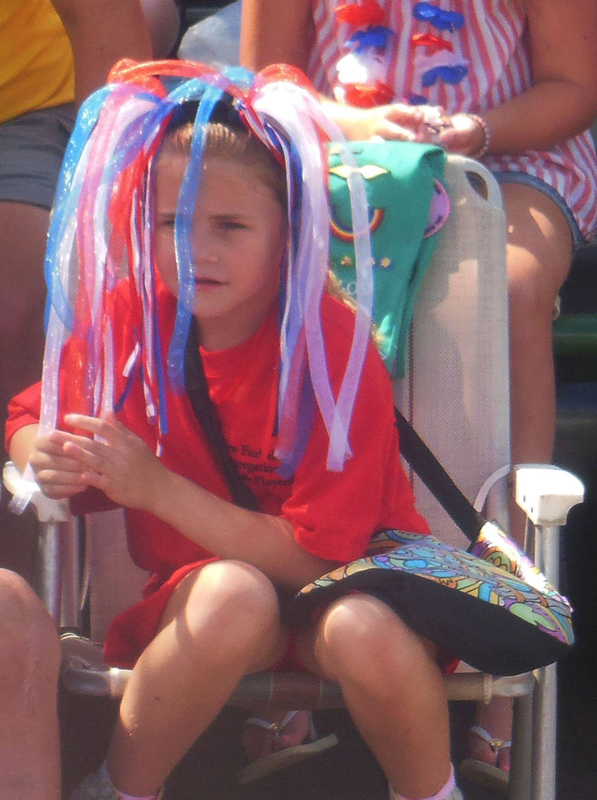 Young spectator in a patriotic mood. In one of my past lives, I was the Chief Elected Official, First Selectman (Yes it’s a sexist term), of New Fairfield, Connecticut. I served two terms then retired from public office. I did good things such as negotiate a conservation easement to preserve and protect the state’s largest lake, Candlewood Lake, and implement a beautification plan for the town center. But I also had the unfortunate experience of serving my second term with board members whose mission was to destroy me. I saw political ugliness on many levels. I have enough material for a good book. When I was first elected to public office, a friend told me my goal should be to not have anyone want to spit on my grave. Mission accomplished — I hope. When I retired to pursue journalism, I put politics completely behind me. I still live in the same town, but I stopped all involvement in political activities. I don’t go to town board meetings. I don’t write letters to the newspaper. I don’t attend fundraisers. I don’t put my hand in where it isn’t wanted. I don’t offer advice. The only thing I do politically is vote. When I was done with public office I took my hat off and threw it in the done pile. 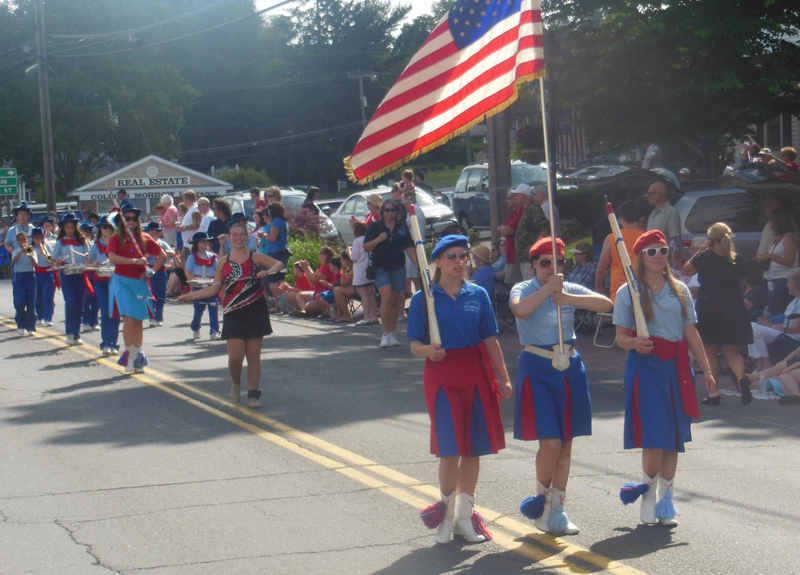 So a few weeks ago, I was caught off guard when I got an email from the organizer of my town’s Fourth of July parade. 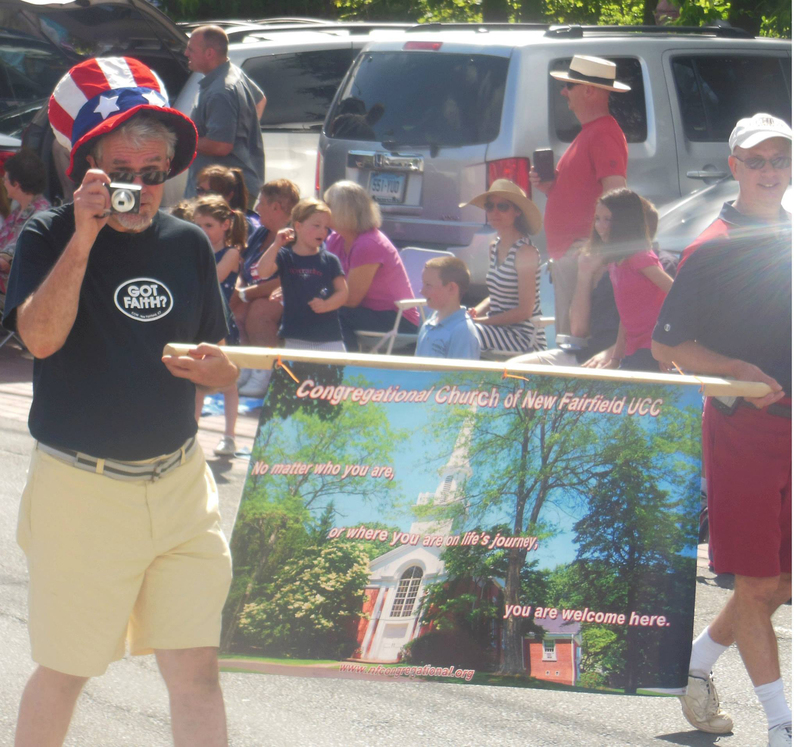 He thought it would be great to have three previous First Selectmen as parade judges. That would include me, my predecessor Cheryl Reedy (an icon, who served with huge distinction for 12 years before retiring), and my successor Peggy Katkocin. All of us happen to be Democrats. My immediate reaction to the invitation was NO. I do not want to do this. I do not want to be in the public spotlight. Been there, done that. You can’t go home again and why would you want to. No. That they would think of me. My husband takes a picture of me while I take a picture of him. Fourth of July was a hot one. Bright and sunny. The only patriotic-ish thing I had in my wardrobe was a long-sleeved red and blue top, but it was lightweight so I wore it. My palms were sweating a little. Must be the heat. The opening marching band was the Sparklers, a youth drum corps that both my kids were in when they were younger. A great group. I found myself yelling out, “Go, Sparklers go!” as they passed the stand. Why did I do that? My husband followed soon after holding a church banner. As he passed, he took a picture of me at the same time I took a picture of him. That made me laugh. Hundreds of Girl Scouts, Boy Scouts, Firefighters followed, then classic cars, tractors, veterans, senior citizens, floats, and deafening fire engines. 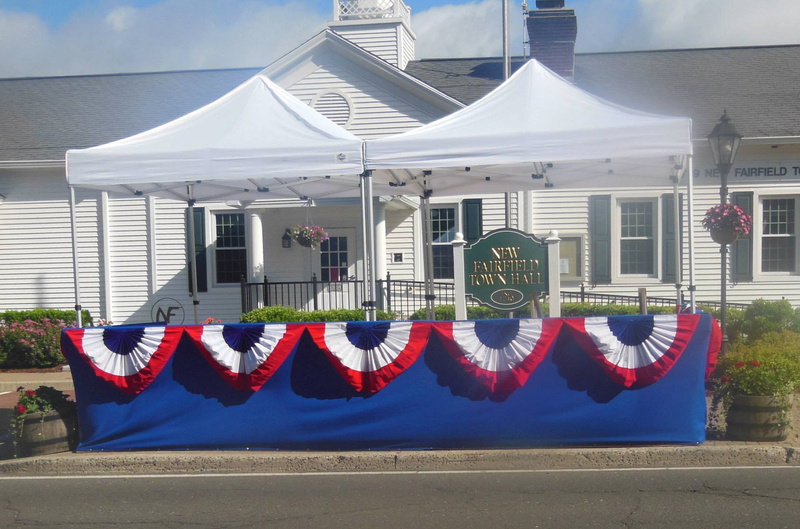 When the parade was over, the crowd sped off to the gazebo behind town hall where parade organizers were serving up free hot dogs. As I sat on the gazebo with the others, I spied someone who pulled a nasty political trick on me when I was running for re-election. This was exactly what I was hoping to avoid, why I was keeping a low profile. This was why I didn’t want to be there. But there he was, and there I was. I looked away and took pictures of the parade winners as they got their trophies. Before leaving, I hugged Cheryl and we agreed to get together for lunch. You can go home again, Mr. Wolfe. It’s still the same. It’s just that you’re the one who’s different.